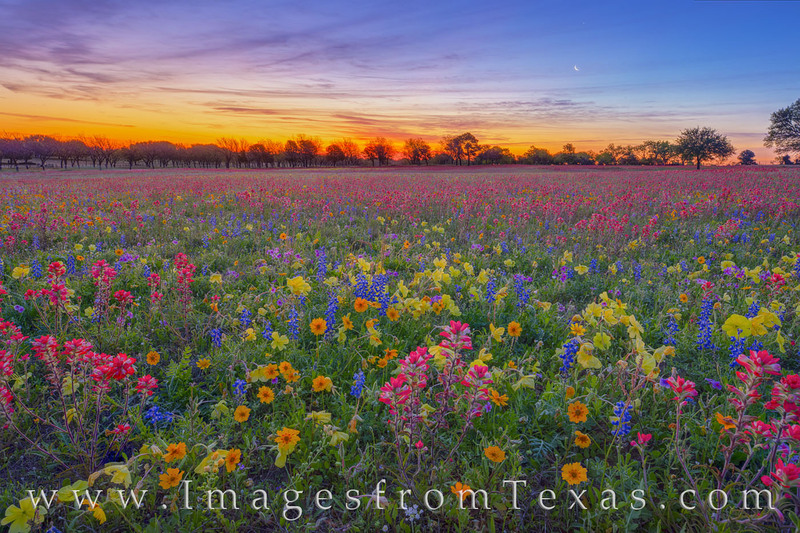 About twenty minutes before sunrise, the sky lit up over this amazing field of colorful wildflowers. The air was cold this morning, and frost blanketed this rural area. Many of the wildflower petals were frozen together. As a nice surprise, the crescent moon was rising in the east just ahead of the sun. While a chill was in the air, the landscape was vibrant and beautiful. This wildflower photograph was taken on private land at the invitation of the owner. Photo © copyright by Rob Greebon.